Although I have discussed in previous weeks how WordPress is the most popular blogging platform for good reason, it does not always mean that the content of a blog is worth reading. There are some basic things you can do to increase the visibility and popularity of your blog. One of the main problems of all blogs, no matter what blog platform you are on, is to make sure that you understand what the value of your blog’s message is and stick to it. Find your value message and instead of writing on random topics you’re interested in, center your blog around one specific topic. Once you have proven to your loyal followers that you are providing a blog of value, interest and expertise, you can start to expand to more topics. 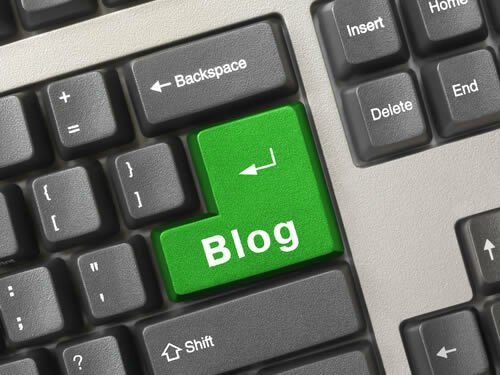 Next, get familiar and involved in the “blogosphere,” which is the online world of bloggers and e-writers. Just by getting involved, this community will help you learn what works and what doesn’t for your blog. In addition, bloggers are very supportive of one another and you will likely get a lot of followers from other bloggers. Encouraging comments is another great way to improve your blog. Although your content will be of value to many people, you should always encourage your readers to chime in and get involved with you. The more interaction between you and your readers, the more likely people are to share the information with friends and on social media channels. In fact, including social media plug-ins of some kind is a must on any blog today. If you can get a few people to talk about your blog posts, and they tell a few people, and they tell a few people … well, the next thing you know you have a “viral” blog post being passed around the world. It always starts with one click, so make sure it is easy for people to share it. Lastly, make sure you stick with it. Blogging is nothing new at this point , so your content may take a little while to catch on with the general population. Keep writing fresh, interesting content and make people realize that your blog is worth reading regularly. You always have to start small – tell your friends, and get involved in as many blog-related activities as you can. And from there, who knows? Your post might be the next viral hit that everyone is reading and talking about. But, you have to start somewhere … so why not start today?